Juice, lemonade, coffee, and more at Fantasyland. Formerly known as the Enchanted Grove, the Cheshire Cafe is a great place to go if you’re getting a bit parched during you day at Magic Kingdom. 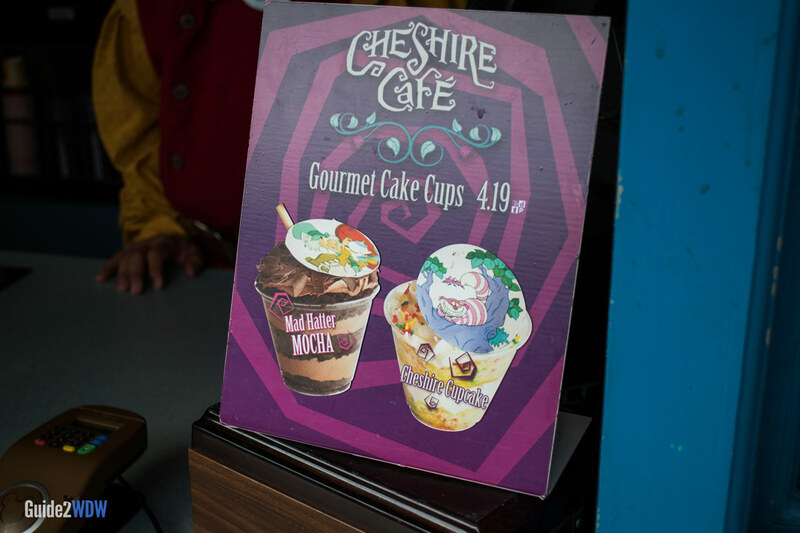 Located on the edge of Fantasyland by the Mad Tea Party, this counter service option offers a variety of drinks, as well fruit, muffins, and other small snacks. Coffee addicts can also get their daily cup here, but they would probably be better served by visiting the Starbucks in the Main Street Bakery. One of the most unique offerings is the Gourmet Cake Cup, which is basically a cupcake served in a cup. Note: Menus for Disney World restaurants change on a somewhat regular basis, so the menu listed above is subject to change. For the most up to date menu, check out Disney’s official Cheshire Cafe menu.